Fitness Blog Blood Pressure and tips on how to Lower/Raise it. 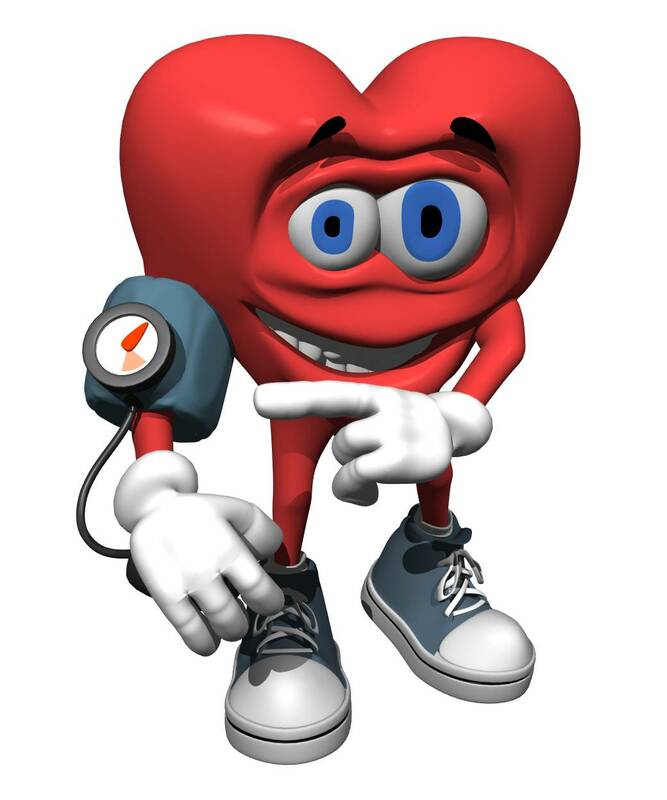 Blood pressure is the pressure of the blood in the arteries as it is pumped around the body by the heart. Blood pressure does not stay the same all the time. It changes to meet your body’s needs. It is affected by various factors including body position, breathing, emotional state, exercise and sleep. High blood pressure (hypertension) means that your blood is pumping at a higher pressure than normal through your arteries. This can contribute to a number of diseases including heart attack, kidney failure or stroke. Hypertension usually produces no symptoms. Hereditary factors, obesity, a diet high in salt, smoking and a lack of physical activity can all contribute to hypertension. Drinking alcohol in moderation, if at all: Drinking too much alcohol can raise your blood pressure. To help prevent high blood pressure, limit how much alcohol you drink to no more than two drinks a day maximum. Reduce stress: Stress can make blood pressure go up, and over time may contribute to the cause of high blood pressure. There are many steps you can take to reduce your stress. Magnesium. A diet low in magnesium may make your blood pressure rise. Magnesium is found in whole grains, green leafy vegetables, nuts, seeds, and dry peas and beans. Garlic. There has been some evidence to suggest garlic’s effect in lowering blood pressure, in addition to improving cholesterol and reducing some cancers. Tips on How to Raise Low Blood Pressure to a healthy level. Hypotension, or low blood pressure, means that the pressure of blood as it circulates around the body is lower than normal or lower than expected. Hypotension is only a problem if it has a negative impact on the body. Symptoms may include light-headedness, dizziness, weakness, blurred vision, fatigue and fainting. Here are a few tips to raise blood pressure. Drink plenty of water. Raise blood pressure by drinking a few glasses of water and maintaining a healthy daily water intake. Low blood pressure is often caused by dehydration, so drinking water will rehydrate your body and raise your blood pressure. Health drinks with electrolytes can also help raise blood pressure, but avoid drinks with high sugar content. Increase salt intake.You can use your diet to raise low blood pressure by increasing your intake of salt and sodium. This will increase the blood volume, which will raise the pressure. Wear compression stockings. Compression stockings are often worn to help reduce the swelling and pooling of blood in the body and to improve circulation. Wear low-grade compression stockings during daily activities and they will help regulate blood pressure by keeping blood circulating regularly through your veins. Balance your diet. An important way to regulate your blood pressure, and improve your overall health, is to eat a healthy, well-balanced diet. Consume a limited amount of high-sugar and high-fat foods and be sure to eat lots of fresh fruits and vegetables. Increase your intake of B vitamins, which have been proven to improve circulation and regulate blood pressure. Consider medication changes.Some medications lower your blood pressure as a side effect. Discuss with your doctor whether any of your current medications could be lowering your blood pressure and if a change in your prescription medication regimen could help you raise your low blood pressure.